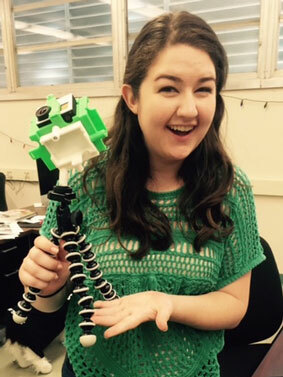 What Makes Cal Poly Journalism Special? Through matched giving, you can double the impact of a gift! To get started, type your company name — or a part of it — in the box above. The Journalism Department at Cal Poly is one of California’s most ambitious undergraduate journalism programs, maximizing the university’s longstanding advantage of Learn by Doing. please view it on YouTube. At its core is Mustang Media Group, the student-run learning laboratory that traces its roots to the first edition of The Polygram in 1916. In October 2016, we celebrated the 100th anniversary of the student press at Cal Poly and launched our $1.1 million Centennial Campaign. We are nearly half way to our goal! We see a new future for the next century of Cal Poly Journalism, one that adheres to our Learn by Doing philosophy, strengthens student media and leverages our place in a thriving polytechnic university. The Centennial Campaign is a way to take our proud tradition of excellence into a new century. It’s all about giving students the knowledge, confidence and skills necessary to enter the workplace and ensure thriving careers. The idea behind the Journalism Endowment is simple: A thousand alumni each contribute $1,000 to create a $1 million endowment. The fund holds its principal and pays out a small portion annually to support enrichment activities in the department. This fund was designed by members of the Journalism Advisory Board to meet the needs of students and faculty in the decades ahead. The endowment also helps fund The Jim Hayes Symposium, a program to advance integrity in journalism and communication. Contributions to the endowment can be made all at once or spread over four years – in annual payments of $250 or in monthly payments of $20 deducted automatically from a credit card or bank account. Goal: 1,000 alumni each giving $1,000 to create a $1 million endowment. 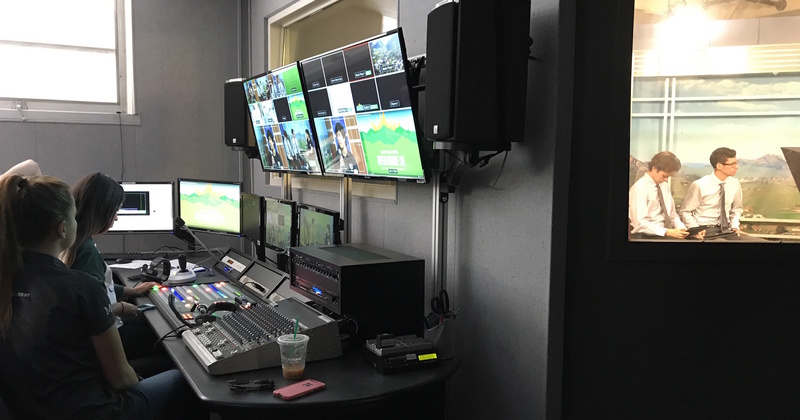 Thanks to a generous donation from Bill and Cheryl Swanson and the Cal Poly president's office, we now have a state-of-the-art, high-definition TV studio, where students produce live newscasts, interview shows and numerous video projects that run on air and online. Our goal has been met! Cal Poly Journalism on the cutting edge! This fund is designed to encourage student media coverage of scientific, statistical, technical and social issues affecting the Cal Poly community by establishing an endowment to fund annual financial awards for reporting on these important topics. Thank you, SAGE Publishing, for establishing the SAGE Publishing Award! Four students whose 2018 Mustang News multimedia story covered the opioid crisis in SLO County were the first recipients. Your gift to KCPR helps support Cal Poly's student-run radio station and its students. The Jim Hayes Journalism Scholarship Endowment was created to pay tribute to Jim Hayes, a longtime journalism professor at Cal Poly. The scholarship supports upper division or graduate students majoring in journalism with preference to students concentrating in news editorial or agricultural journalism. The George Ramos Scholarship for Journalism Excellence was created to honor the Pulitzer Prize-winning journalist and longtime Cal Poly professor. The scholarship supports junior and senior students majoring in Journalism with a print specialization who are also interested in urban affairs reporting. Jim Hayes served as the founding director of the Brock Center in 1986. The center was established as a joint institute between the Journalism and Agricultural Education and Communication Departments. The mission of the Brock Center is to create a bridge of communication between the agricultural industry, the media and the public. Your gift will expand videography and photography equipment to support student projects, including the student-run AgCircle magazine. Your gift to the Journalism Department goes directly to support current needs of students and faculty.